I will work with you throughout the entire process, from choosing the paint colour to shopping with you for the items or helping you set a beautiful table for your special occasion. Erich brings a wealth of practical knowledge and hands-on expertise to each project and is skilled at overseeing construction activities of nearly all scopes and sizes. We manufacture and install custom closets and cabinetry. 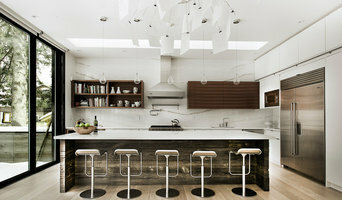 York's Leading Architecture Firm - 2019 Best Of Houzz Winner! 6ixDesign INC. is an alliance of interdisciplinary engineering and architectural design studio dedicated to provide efficient, cost effective and innovative solutions to all residential needs. We help solve your storage woes. In no time at all, we'll transform clutter and chaos into form and function - a storage solution that's both practical and visually appealing. After Graduating from the Ontario College of Art and Design, Micheal Lambie spent the next 15 years as a Creative Director developing award winning TV, print ads, graphic layouts and illustrations. At De Simone Designs we embrace your style, whether contemporary, modern or traditional. Our goal is to provide a harmonious space while offering innovative design ideas and affordable alternatives. Successfully operating for over 20 years, we provide a full range of design and decor services. 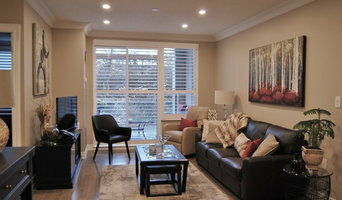 We create distinctive and welcoming spaces that reflect our clients’ personalities & lifestyles. Andra Martens Design Studio is a interior design and consulting firm established in 2006. Andra’s passion for nature, art and design are evident in how she approaches her projects. My goal as an interior decorator is to enhance the way you live by making the most out of your space and bringing its full potential to life. Call me today for a consultation. 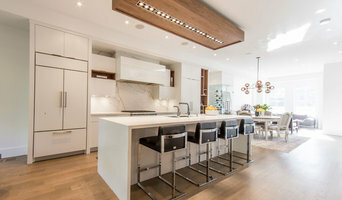 Renovate or redecorate your kitchen, bathroom, house or condo. With our collaborative design process, we’ll transform your space into one you’ll love. You’ll get solutions that suit your style. Parkyn Design specializes in residential ground-up construction and renovations. From earliest design ideas to project completion, our experienced team believes that great design transcends any style. fvk Design is a full service interior design provider, which means I can help with a complete renovation. Starting with the floor planning all the way to putting on the finishing touches with accessories and art work. I also love helping clients plan the space they will complete on their own. I have been working in the Markham area for over 10 years. We also provides clients with fresh and affordable interior design expertise - from concept to completion. We take the stress out of interior design, from selecting paint colours to whole home renovations, and everything in between. Ai Living Inc. provides “Save Time, One Stop” home improvement and renovation service to customers, including building materials selling, interior design, and both commercial and residential projects. 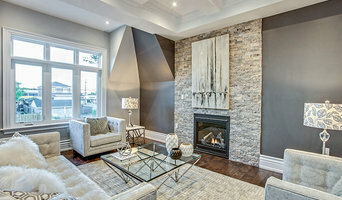 The firm provides decorating, staging, renovations and interior design services for both small and full scale residential projects throughout the GTA. We offer smart home storage and organizational solutions for closets, garages, mudrooms, home offices, multipurpose spaces, pantries, laundry rooms, and more in a variety of high quality materials and complementary finishes. We bring energy and order to your project along with infinite creativity to create spaces that reflect your individual style and function.